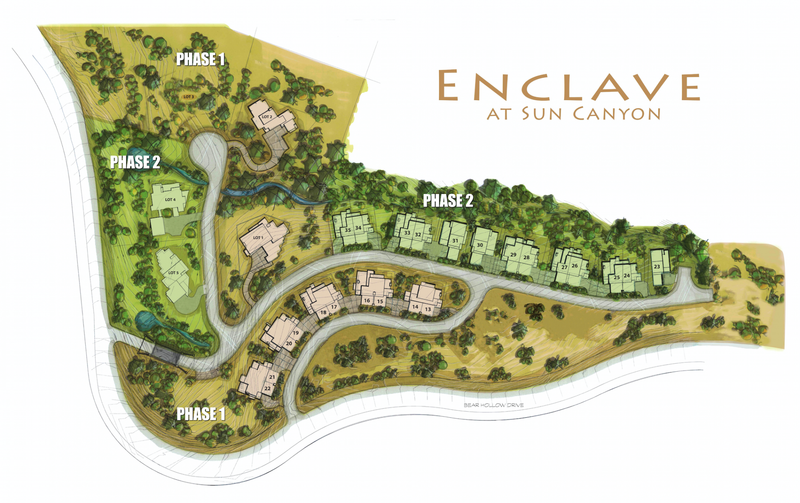 Enclave at Sun Canyon is a community of 23 luxury town homes and five custom homes that have been architecturally designed to intrinsically blend with their natural surroundings. 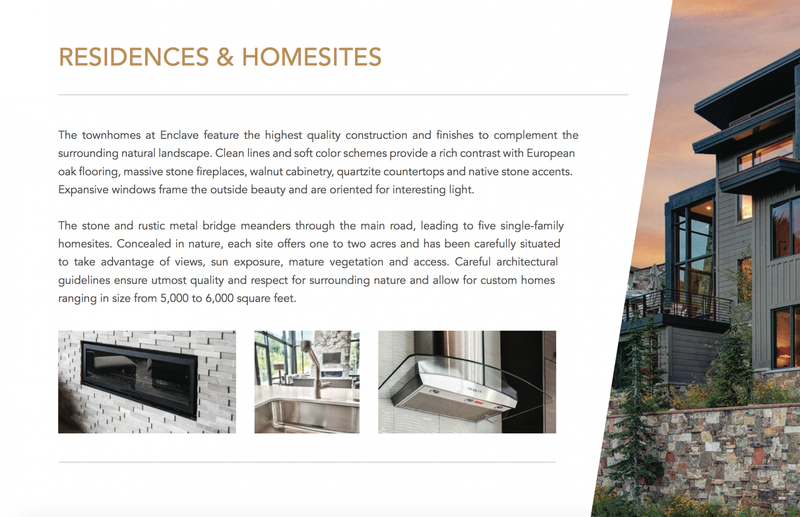 Constructed of stacked stone, floor-to-ceiling glass and a combination of grass and metal roofs, the Enclave at Sun Canyon residences have been designed for indoor/outdoor living and feature spectacular views of the mountain. 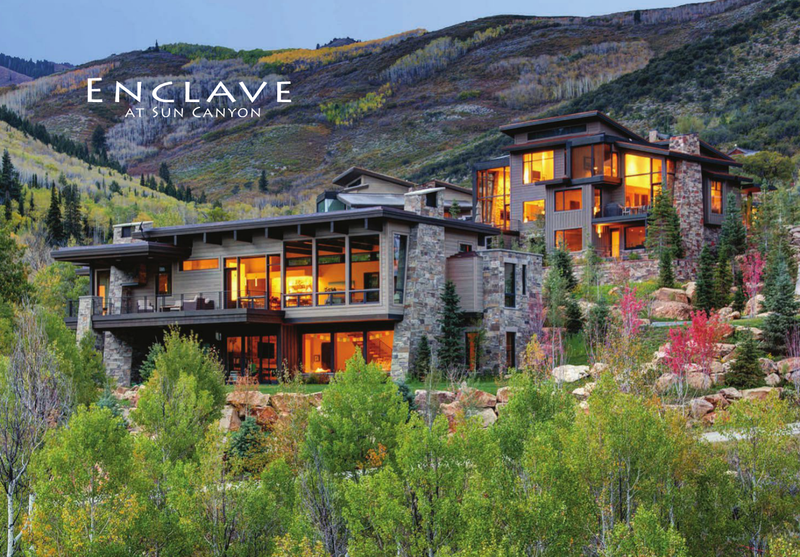 Located in the heart of Park City, Enclave at Sun Canyon is just minutes from legendary Deer Valley® Resort and adjacent to Vail Resort’s newly owned Park City, North America’s largest ski resort.  Also nearby is Utah’s Olympic Park, Redstone Village and Park City’s Historic Main Street featuring premier dining, shopping, theater and festivals. The Salt Lake International Airport and private Heber Airport are only 35 minutes from home. 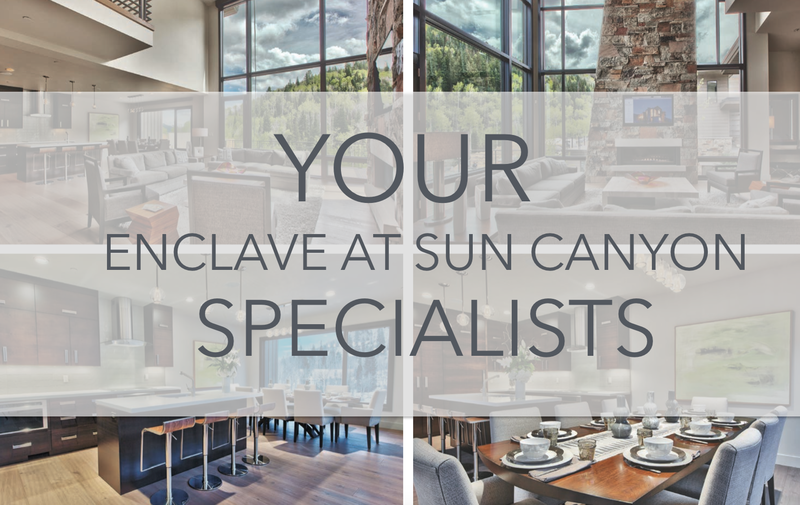 Life at Enclave at Sun Canyon includes majestic alpine scenery with open space and private trails and an additional 1,000 acres of adjacent Mid-Mountain Trails for hiking, biking, snow shoeing and cross-country skiing. The 68 acres behind the Enclave at Sun Canyon development was purchased by the developer Steve Urry and donated as open space to the Summit Land Conservancy. 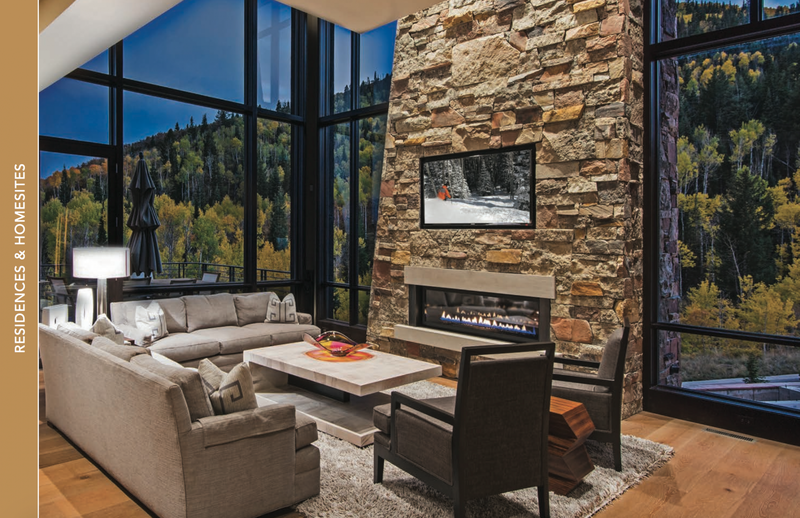 As a result, Enclave at Sun Canyon residents will enjoy unobstructed views and a half mile of private trails linking to Rob’s trail and Park City’s Mid Mountain trail system. Most of the area behind the development is wooded, providing hikers and bikers with acres of shaded trails to enjoy in the summer and challenging terrain for snowshoeing in the winter.